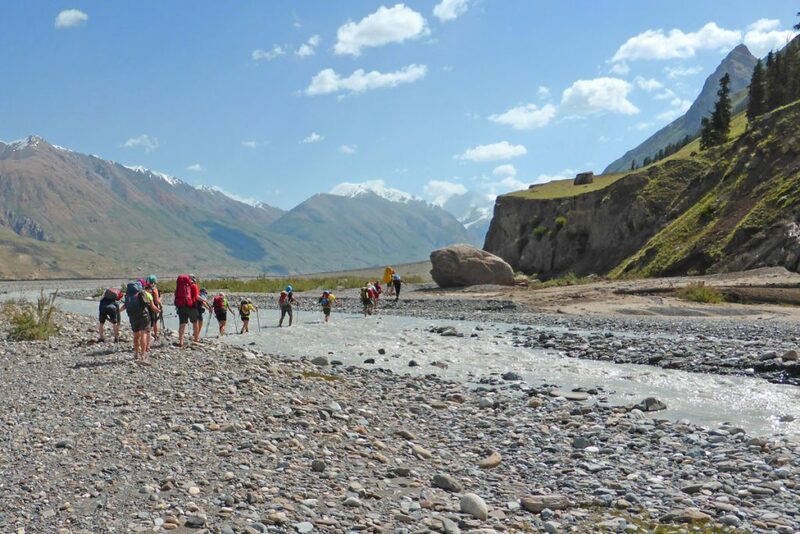 3 peaks of Kyrgyzstan +7000 m.
3 peaks of Pamir +7000 m.
The trip we offer you below is a trekking tour along the mountain trails in Central Tien-Shan. It begins in Bishkek, the capitals city of Kyrgyzstan. By a driven car you are transferred to Son-Kul lake, you can see beautiful panorama of lake, nomadic life of Kyrgyz people. Then you continue the trip to eastern shore of Issyk-Kul lake, to Karakol town. After that you are transferred to At Jailoo alpine meadow, from here the trekking part starts. During the trek you will learn the real beauty of the mountains, the serenity and silence of Tien Shan, the Celestial mountains. You will see one of biggest glacier in the world and mysterious Merzbacher Lake. Your trip finishes in the Base Camp “South Inylchek” at the foot of magnificent Khan Tengri peak (7010m). Day 1 . “Manas” international airport – Bishkek. Drive: 40 km. / 1 h.
Arrival in Bishkek early in the morning. Meeting at the airport. Transfer to the hotel/Guest House. After short rest and late breakfast we have city tour in Bishkek. Lunch in local restaurant. The capital and industrial centre of Kyrgyzstan, Bishkek is a city of wide avenues, handsome buildings and Soviet heritage. The gesturing statue of Lenin can still be seen in the city’s vast central square, yet it is the permanently snowcapped Kyrgyz Alatau mountain range which towers over Bishkek providing a quite stunning backdrop. Overnight and dinner in hotel (900 m. a.s.l.). Day 2. Bishkek – Burana Tower – Son-Kul. Drive: 390 km. / 7-8 h. / + 2100 m.
After breakfast depart to Son-Kul lake, on the road make halt on Burana Tower (old minaret) near Tokmok city.That minaret was constructed in Balasagun town, one of the capitals of Karakhanid State existed in 12 centuries AD. Explore ruins of that important trading point at the Great Silk Road and visit a little local museum telling about that civilization. 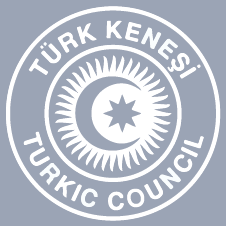 Also watch a collection of Balbals, Turkic ancient tombs. After excursion lunch in the family house in Tokmok, where tourist can closer learn about life of local people. 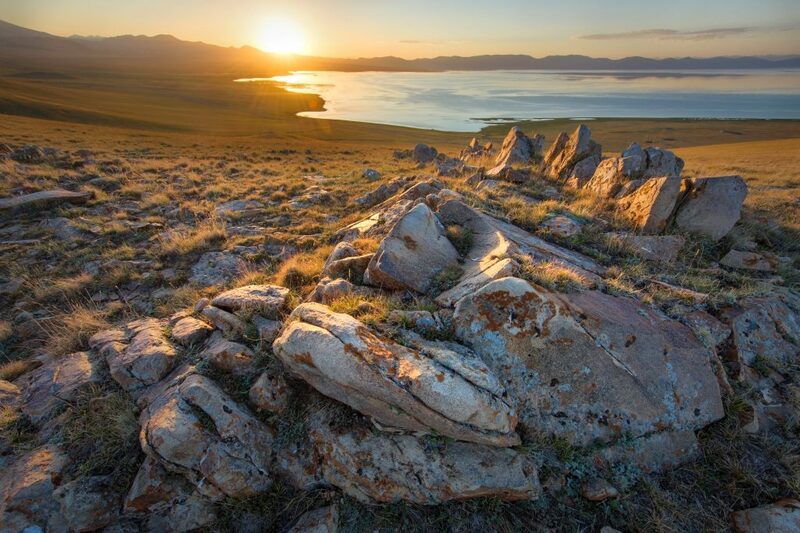 In the afternoon continue your journey to Son Kul lake, the second largest mountain lake in Kyrgyzstan. Upon arrival in the lake basin accommodation in yurts (3050 m. a.s.l.). Day 3. Son Kul lake. After breakfast we will have horse-riding around area, then after lunch you can view horse show. Today you step into the nomadic life at the Song-Kul Lake. Here, the Kyrgyz people still live in traditional simplicity. You enjoy horseback riding or just hiking, spend time with friendly Kyrgyz families and taste their fresh airan (yogurt) and kymys (a fermented national drink from mare’s milk), also you will view horseshow. Overnight in yurt (3050 m. a.s.l.). Day 4. Son-Kul – Karakol. Drive: 350 km. / 7-8 h. / – 1350 m.
In the morning you drive to Karakol town situated in the east of the lake area, at the foot of the most picturesque mountains of Tien Shan. This sleepy but very interesting old Russian town was first erected by Cossacks in the middle of 19th century and became an important garrison settlement. On the way we will stop in Bokombaevo village. Together with the locals we will learn this ancient handicraft and get closer to the culture of nomads. In Bokonbaevo they specialize in production of huge carpets to cover a yurt or to put on the floor. Overnight in hotel (1700 m. a.s.l.). Day 5. Karakol sightseeing tour. Transfer to At-Jailoo Base Camp. Drive: 200 km. 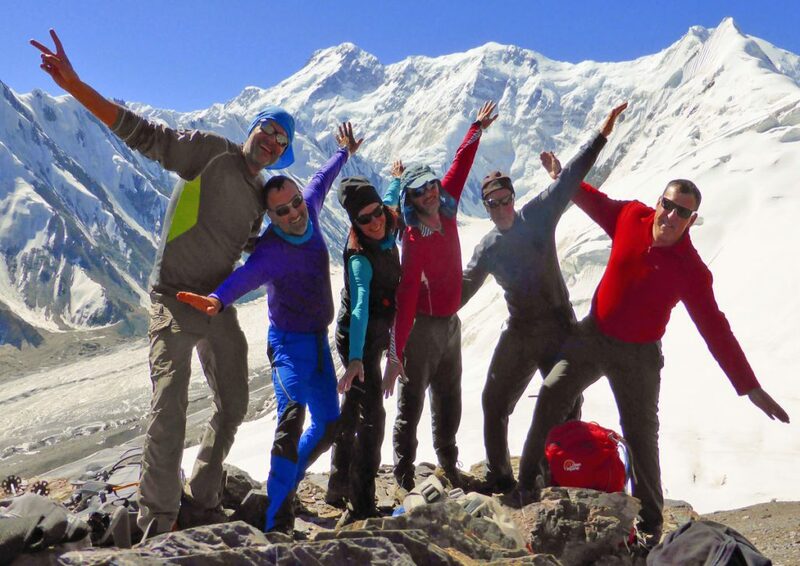 / 5-6 h. / +800 m.
After breakfast short sightseeing tour around Karakol. Visiting Dungan mosque, a unique construction in Chinese style, but serving as a mosque. Also you will see an Old Russian Orthodox Cathedral made of wood without any nails.Karakol town situated in the east of the lake area, at the foot of the most picturesque mountains of Tien Shan. This sleepy but very interesting Old Russian town was first erected by Cossacks in the middle of 19th century and became an important garrison settlement. Lunch in local café. Transfer to At-Jailoo base camp. 200 km drive will take us about 6 hours. The road passes through a number of villages, then continues up along the canyon Turguen Ak Suu towards Chon Ashuu Pass (3808m). Descent to Ashuu Tor valley. On the way we pass by Koilu and Sary Jaz rivers. Later we drive along Sary Jaz river to the check point Maida-Adyr as we are going to enter the border zone, we must leave our permits here. Sary Jaz river is one of the largest in Kyrgyzstan. The river has a length of 200 km and carries its water into Inylchek river which flows to China About 1-1.5 hours drive through a village and along Inylchek river, arrival in At Jailoo camp. Dinner and overnight in tents (2500 m. a.s.l.). Day 6. At Jailoo Camp – Iva Camp. Trek: 18 km. 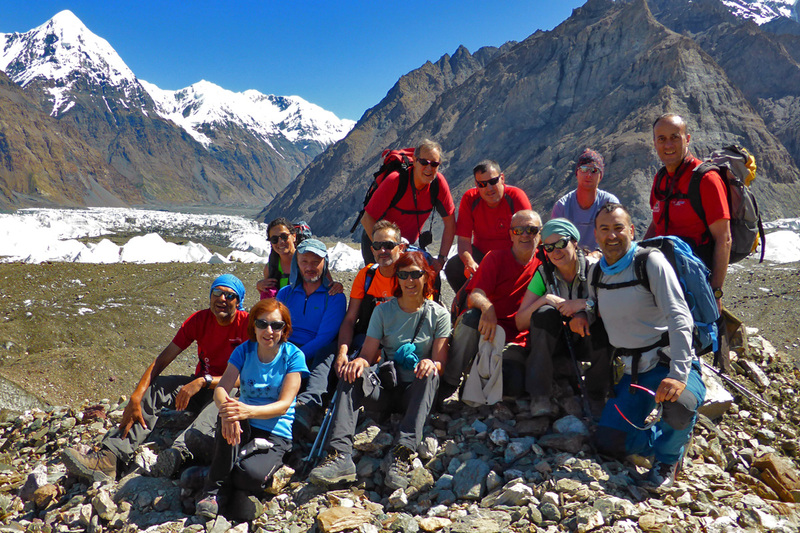 / 6-8 h. / +400 m.
Trekking from At-Jailoo along Inylchek River to the beginning of Inylchek glacier. After breakfast, we take lunch boxes and will leave the camp in order to be able to cross At Jailoo river before 9 am while there is still little water and the water level is low. We cross its freezing cold water, but it gets more difficult the later we do it. Within an hour we reach a place called Prijim. If the water level allows, we walk and easily cross another stream here. Otherwise we have to ascent and descend a steep and overgrown path which takes us about an hour extra. All depends on the lake Merzbacher. Whether it is the time when the lake opens and its water rushes down, or it has already or vice versa not opened yet, then we are lucky! Still it is highly recommended to bring along the sandals which you can wear when crossing the river and streams. Overnight in tents (2900 m. a.s.l.). Day 7. Iva Camp – Glina camp. Trek: 8 km. / 5-6 h. / +200 m.
Lake on Putevodnyi glacierThe Inylchek Glacier is the largest glacier and centerpiece of the Central Tien Shan. Extending 62 km in length with a width of over 3 km, the Inylchek Glacier is the third longest glacier outside the Polar Regions. It is estimated that the glacier holds enough ice to cover the entire country of Kyrgyzstan in three meters of melt water (Stewart, 2002). The first outside to travel into the area and visit the glacier was the European Pyotr Semenov in 1857. Climbing in the area began in the early 1900’s and continued through the 1930’s. Under Soviet rule, the permitting system restricted foreign access. It was not until after the collapse of the Soviet Union in 1991 that foreign climbers began to climb in the area (Stewart, 2002). Overnight in tents (3100 m. a.s.l.). Day 8. Camp Glina – Merzbacher Glade. Trek: 9 km. / 5-6 h. / +300 m.
Merzbacher gladeBreakfast at 9 am. Again we trek up and down various terraces though have also about 10 km of straight path. Only once we trek across a small glacier, passing a river and have lunch on the shore of a small lake, swim and rest. It will be an hour left to get to the Camp. Upon arrival we have some tea or coffee, then dinner at 6 pm. Wonderful views of Merzbacher lake open to us from the Camp. Merzbacher glade is the last grassy place in the area located just across the unique Merzbacher Lake. There is a scientific research station on the glacier. Scientists from all over the world come working here every summer. They study glaciers moving, meteorological situation of the region and the lake Merzbacher itself. There is a large green area around which is flat enough for camping. Overnight in tents (3400 m. a.s.l.). Trek: 10 km. / 4-5 h.
Merzbacher lake.Breakfast at 9 am. We take our lunch boxes and leave at 10 am. Across South Inylchek glacier up to Mertzbacher Lake. The glacier terrain is ice covered with rocks and stones, sand and mud. The trekking time both ways is 4-5 hours. Sandwiched between the Northern and Southern branches of the glacier lies the mysterious Merzbacher Lake, which form every summer and then, sometime in August, burst through the ice banks and the waters flow into the Inylchek River. (Actually, the timing varies – for example in 2012 it happened on 10,July.) In reality, only part of the lake drains – the lake, which is 6 kilometres long and one kilometre wide, is in fact divided into two by a bridge of ice and whilst the lower half empties regularly, the upper part is always full of water. Also, the lakes empty twice a year – once in the summer and once in the winter – but most people only know about the summer event. In 1903 the German geographer and mountaineer, Gottfried Merzbacher, first discovered the lake while leading an expedition into the Tian Shan Mountains aiming to reach the summit of Khan Tengri. Forced back by ice, from their originally intended route through the Byankol Pass and along the Semyenov and Mushketov glaciers, they attempted a different approach – along the Enilchek glacier. 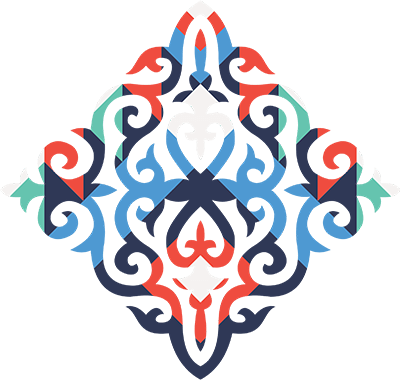 Once again they failed, but they had shown that Khan Tengri was in fact on a ridge and not in the centre of that particular knot of the Tian Shan Mountains as had been thought. The expedition will be better remembered, however, for the discovery of the mysterious lake that now bears Merzbacher’s name. Day 10. Merzbacher Glade – South Inylchek base camp. Base camp on Southern Inylchek GlacierToday helicopter flight to Base Camp South Inylchek. We have our lunch, tea or coffee. Dinner at 7 pm. “South Inylchek” BC is open from 6 of July till 31 of August every year and might be interesting not only for alpinists, but also for usual travelers, who would like to enjoy the views of beautiful mountains on the flight by helicopter. 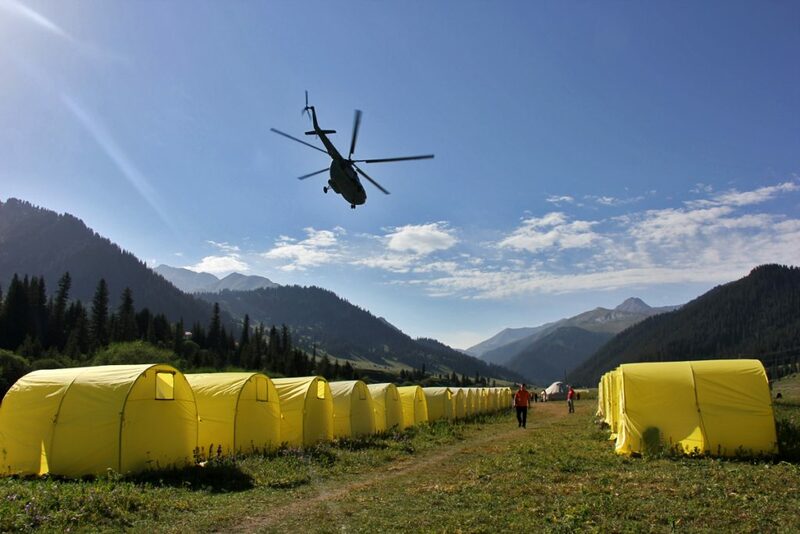 INYLCHEK Base Camp is ideally situated in the heart of North Tien-Shan at the South Inylchek glacier approximately at 4000 m. above the sea level. It has a picturesque view of Khan-Tengri ( 7010 m .) and Pobeda ( 7439 m .) peaks. Overnight in BC in tents (4100 m. a.s.l.). Day 11. South Inylchek base camp. Khan-Tengri PeakRest day at South Inylchek BC or radial hiking to foot of Khan-Tengri Peak (7010 m a. s. l.). 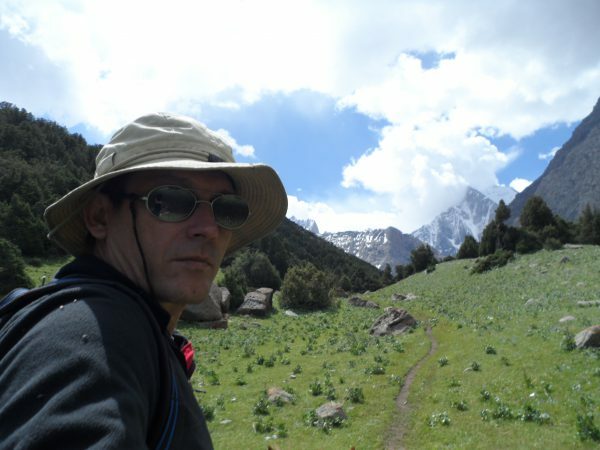 Trek 15 km, 5-6 h, +/-150 m.
The beautiful pyramid of Khan Tengri is without doubt the Jewel of the Tien Shan. It is the second highest mountain in this most northerly and remote of the great Asian mountain ranges. Among the local people, the white peaks are known as ‘The Mountains of Heaven’. 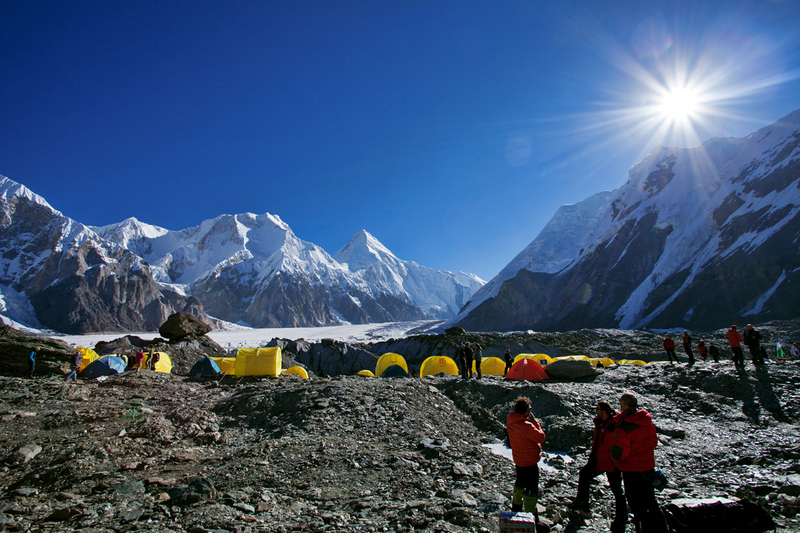 Khan Tengri peak was first climbed by a Soviet expedition in 1931, via the West Col and West Ridge. Since then, most of its ridges and faces have been climbed – all by Soviet teams. Overnight in tents (4100 m. a.s.l.). Day 12. Helicopter flight to Karkara helicopter pad – Issyk Kul Lake. Drive: 200 km. / 3 h. / -2500 m.
Breakfast. Helicopter flight from BC to Karkara helicopter pad. Transfer to Issyk-Kul Lake. In the afternoon three hour drive to the Issyk-Kul Lake, lunch on the way. Issyk-Kul is the second largest alpine lake in the world after Lake Titicaca in South America. Measuring 182 km long by 58 km wide, the lake appeared as a result of volcanic activity. It is heated from below by thermal activity and never freezes even in the depths of winter. In the summer the water temperature reaches 25-28 degrees centigrade (warmer than the air) and you can swim in the lake enclosed on all sides by the snowy peaks of the Tien Shan Mountains. Extremely deep and nicely warm over the centuries the lake has been something of an oasis in this inhospitable mountain environment. With diverse flora and fauna Issyk-Kul Lake and the surrounding environments are rightly considered to be one of Central Asia most remarkable locations. Overnight and dinner in hotel (1700 m. a.s.l.). Day 13 . Issyk- Kul – Bishkek. Drive: 250 km. / 5-6 h. / -800 m.
Issyk-Kul lakeBreakfast. Time at leisure. Lunch. In the afternoon transfer to Bishkek through tight Boom Gorge where boisterous Chu River, so much loved by rafters (routes up to 6th category difficulty! ), cuts its way. Optionally: During dinner we take the unique opportunity to listen to the Manaschi (a singer performing the national Kyrgyz epos, Manas) and see Kyrgyz folklore show. The musicians in traditional Kyrgyz costumes present you a wide range of national musical instruments – starting from Komuz (a three-stringed wooden musical instrument) to Chopo Choi (wind instrument made of mountain reed). You hear the fascinating singing of young Kyrgyz ladies and men and learn more about the traditional music and poetry of Kyrgyz. Arrival to Bishkek. Accommodation in hotel (900 m. a.s.l.). Day 14. Flight back home. Early in the morning transfer to the airport. Departure back home. 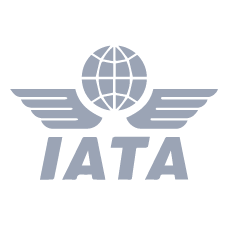 1 pax – 5790 USD / pax. 2 pax – 4120 USD / pax. 3 pax – 3575 USD / pax. 4 pax – 3235 USD / pax. 6 pax – 2955 USD / pax. 8 pax – 2555 USD / pax. 10 pax – 2420 USD / pax. 12 pax – 2320 USD / pax. 15 pax – 2215 USD / pax. SGL accommodation in hotels: 130 USD per person. SGL accommodation in tents: 85 USD per person. For more information about dates and prices for the tour please fill in the form in the upper right corner of the page. The manager will contact you as soon as possible with more information about the itinerary and prices. A down jacket, pair of sandals and walking sticks are recommended. Always on the tables: honey, jam, sugar, condensed milk, dried fruits, cookies or sweets, salt, pepper, ketchup. Each breakfast consists of porridge and additional dish. Additional dish: omelet with bacon, omelet with cheese, fried sausages, pancakes, cheesecakes, scrambled eggs with sausage, boiled eggs. Each supper consists of salad, soup, main dish and dessert. Salads: funchoza(starch noodles), rice with crab sticks, eggs with fish, cabbage with carrot, greek salad, beans with onion, cod-liver with eggs. Soups: minestrone, kesme, lentil puree soup, rice soup, pumpkin puree soup, fish soup and soup with dumplings. Main dish: kuurdak, pilaf, stew with spaghetti and cheese, dymlyama, stuffed pepper, lagman, befstroganof with rice. Dessert: cakes, waffles, fruits and rolls. Main dish: fried chicken, smoked chicken, smoked duck breast, cheese sandwich, cutlet, boiled eggs, meat pate. In the season 2018 “Ak sai Travel” will set up permanent tent camps all along the itinerary. It makes a tour so easy for trekkers. If you book the trekking tour “Contrasts of Tien Shan” with Ak-Sai Travel, you can stay in our tent camps all along the tour! 1) It makes your journey so much easier – no need to carry all heavy tents, pots, plates and other kitchen equipment, as well as food for the whole trek. 2) It makes your trip cheaper - you don’t need to hire porters, cooks and so on. 3) It makes your tour safer – you have connection in every camp. Upon arrival you will get a map with the route and all the tent camps marked, as well as a brochure describing the itinerary in details. 4) It makes the vacations more comfortable – every night you will stay in a warm tent; eating hot delicious European and national food. Request a spot on this trip. Please fill the form below and our expert team will contact you as soon as possible! Itinerary: Bishkek – Son-Kul – Karakol – At-Jailoo – Inylchek – Putevodniy glacier – Mertzbakher Glade and Lake – South Inylchek BC – Karkara –Issyk-Kul – Bishkek. Itinerary: Bishkek – Son-Kul – Karakol – At-Jailoo – Inylchek – Putevodniy – Mertzbakher Glade and Lake – South Inylchek BC– Karkara –Issyk-Kul – Bishkek. Do not hesitate to contact us. Our expert team will be happy to help!